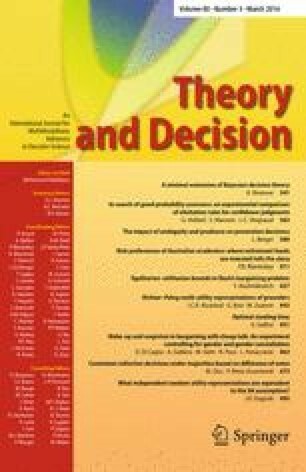 This paper explores gender differences in “make-up” and “suspicion” in a bargaining game in which the privately informed seller of a company sends a value message to the uninformed potential buyer who then proposes a price for the company. “Make-up” is measured by how much the true value is overstated, “suspicion” by how much the price offer differs from the value message. We run different computerized treatments varying in information about the gender (constellation) and in embeddedness of gender information. The asymmetry of the game and of information allows for a robust assessment of gender (constellation) effects. We report here the results from just one shot round decision since we expect such effects to be more pronounced for inexperienced participants. We mainly find an effect of gender constellation: when female sellers are aware to confront a female buyer, they overstate more, i.e. there is more “make-up”. However, we cannot confirm gender (constellation) effects for suspicion. We would like to thank the Max Planck Institute of Jena for funding and supporting this research.